The largest lot in the subdivision set at the end of the cuddle-sac with tons of space between neighbors and gorgeous views. 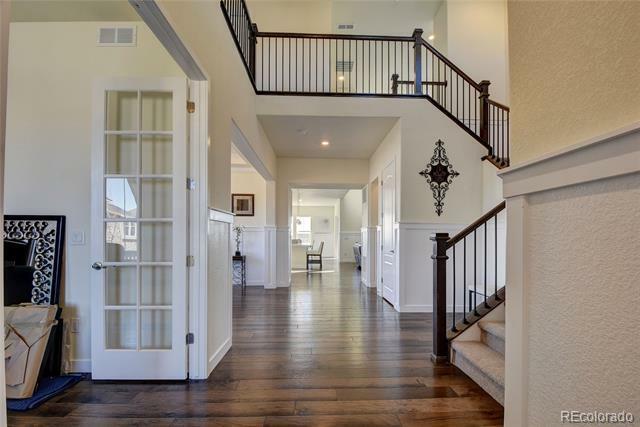 5 Bedroom 6 Bath plus Study & 4 car garage with golf cart space. 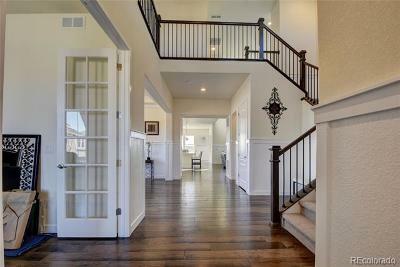 Short distance to American Academy School. 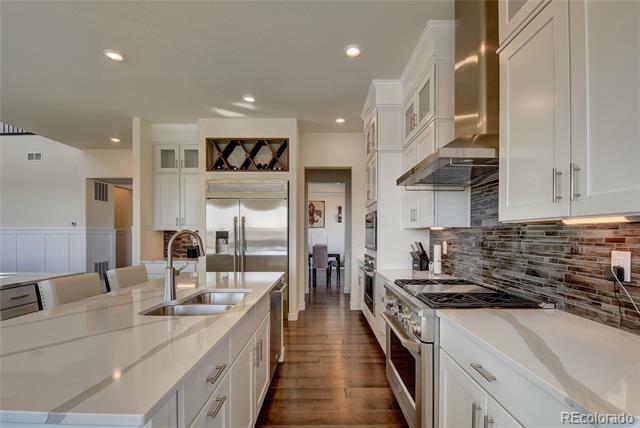 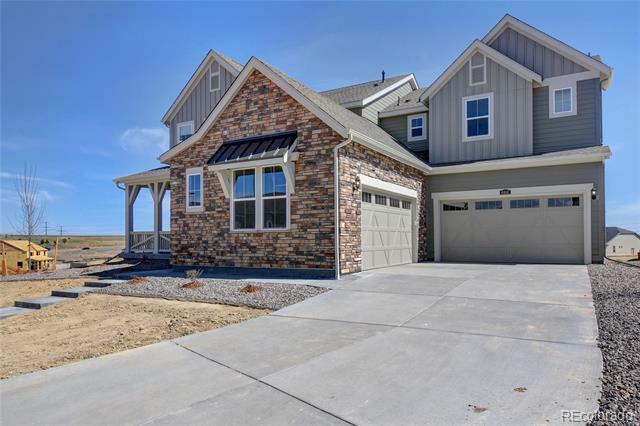 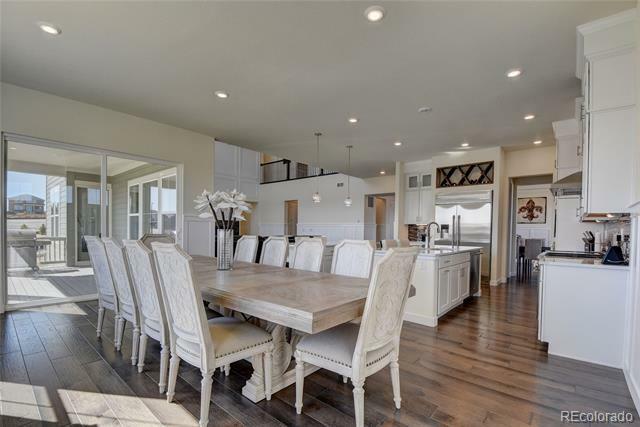 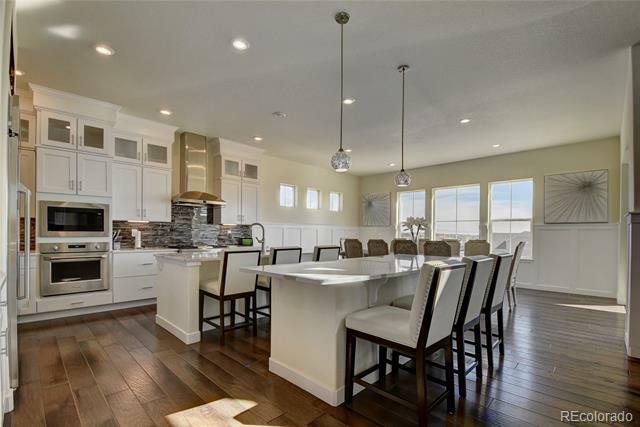 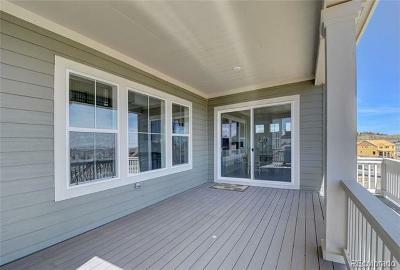 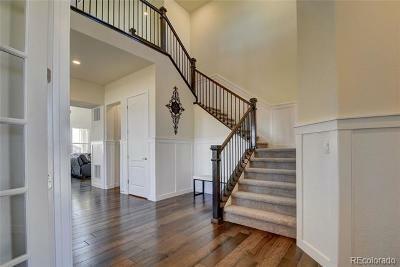 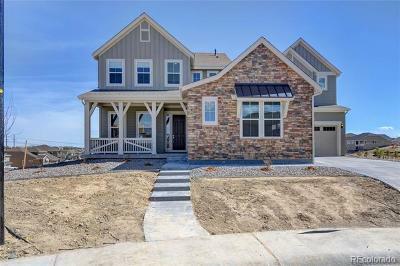 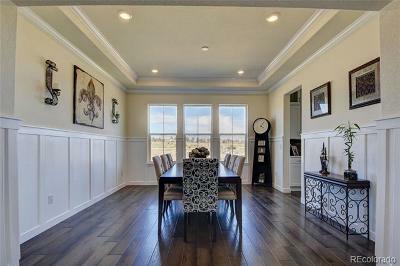 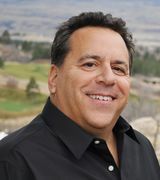 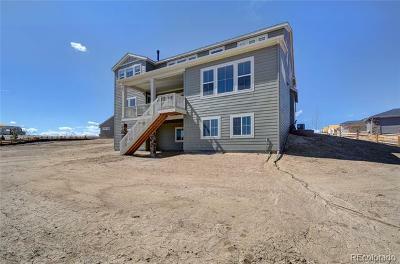 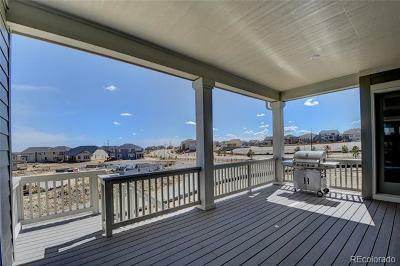 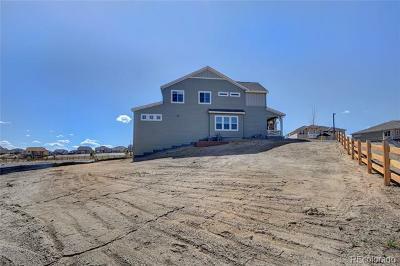 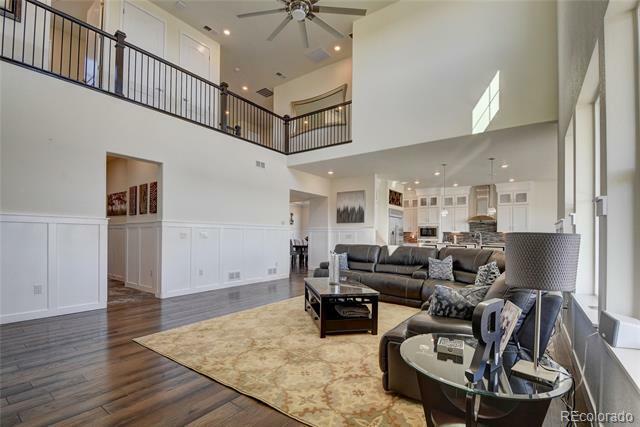 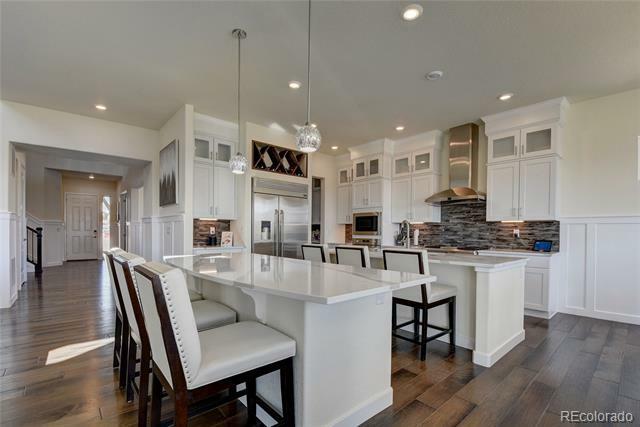 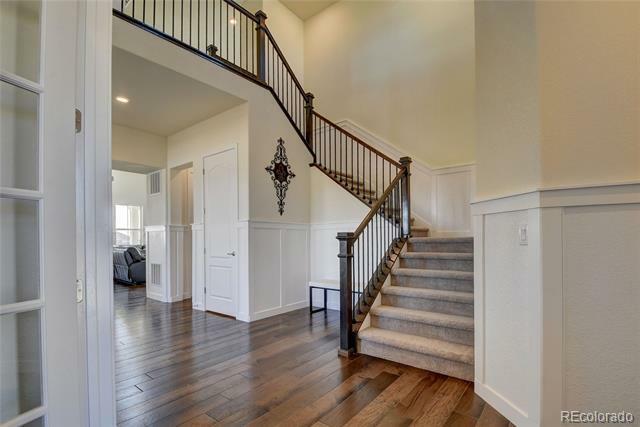 Castle Pines Valley is a Very Prestigious Location You Will Love! 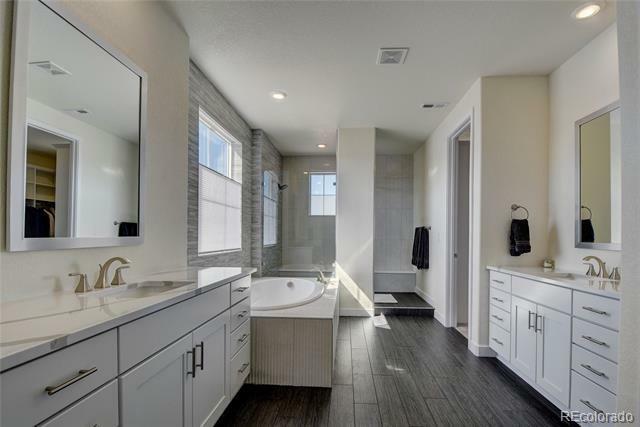 The Palmer by Lennar is a lovely floor plan that's open and bright with 5 bedrooms + elegant formal study + 6 baths loaded with luxury upgrades. 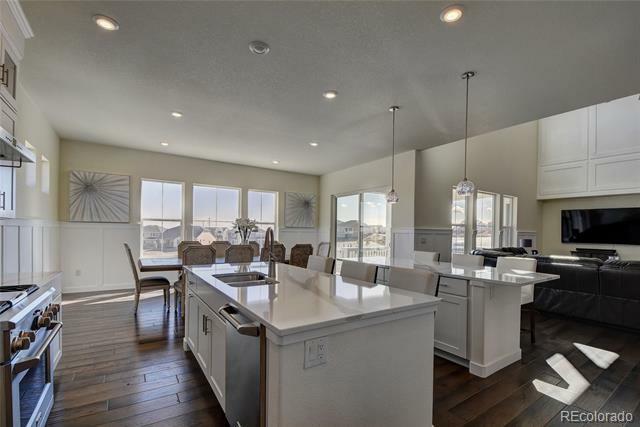 The heart of the home is the gourmet kitchen with two oversized slab Quartz island, stunning floor to ceiling cabinetry, full stainless steel appliance package with fridge, custom backsplash, Custom Wine Rack built in's, walk-in pantry, and Large over sized sunny eat-in nook with 2 story great room that's perfect for entertaining. 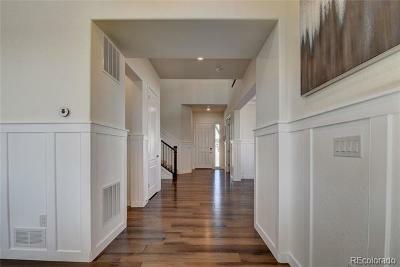 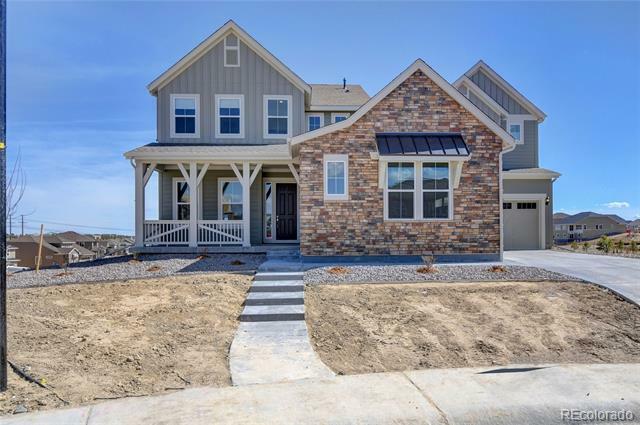 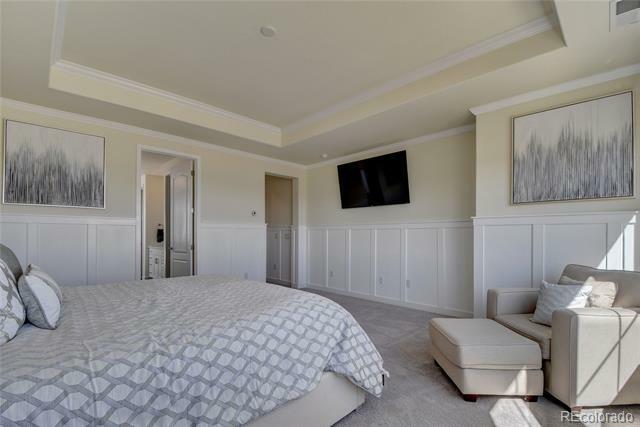 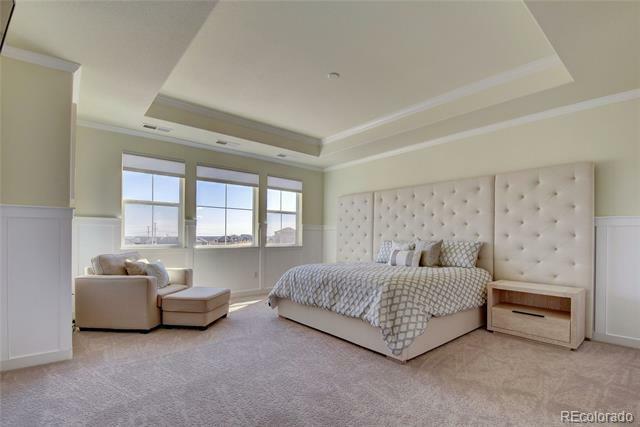 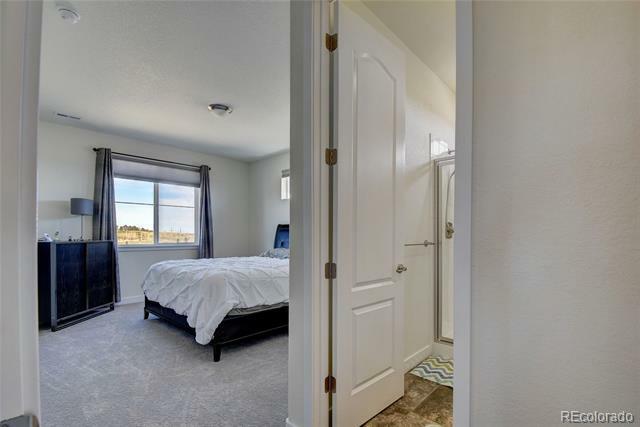 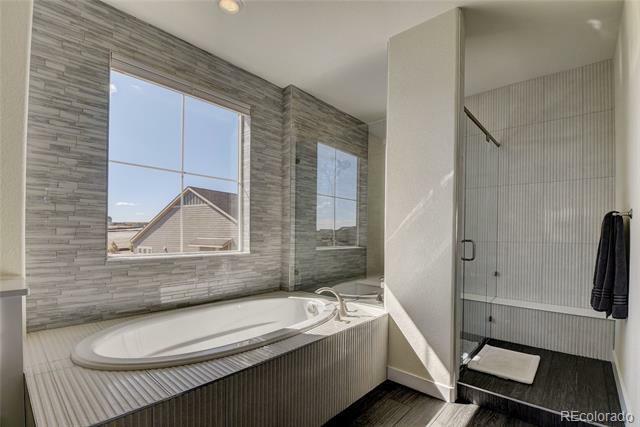 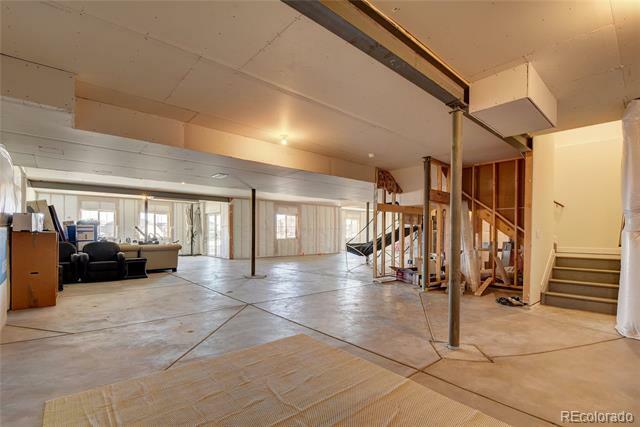 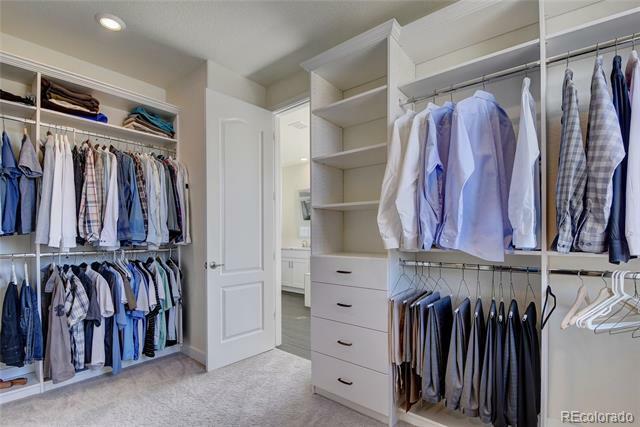 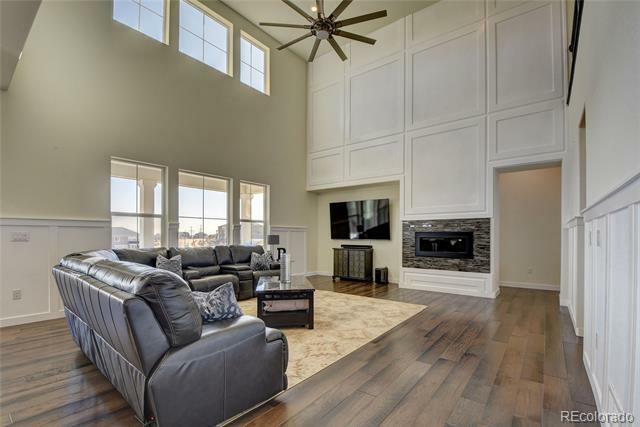 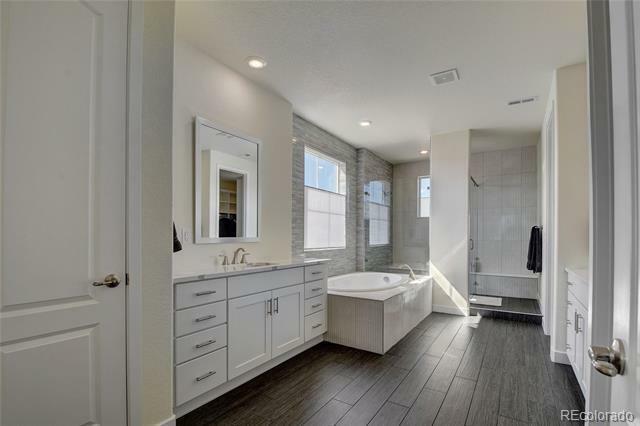 The master suite is very luxurious, with coffered ceiling and en-suite luxury bath with dual slab granite vanity, feature soaking tub, tiled shower with bench, and huge walk-in Custom closet with direct access to laundry.